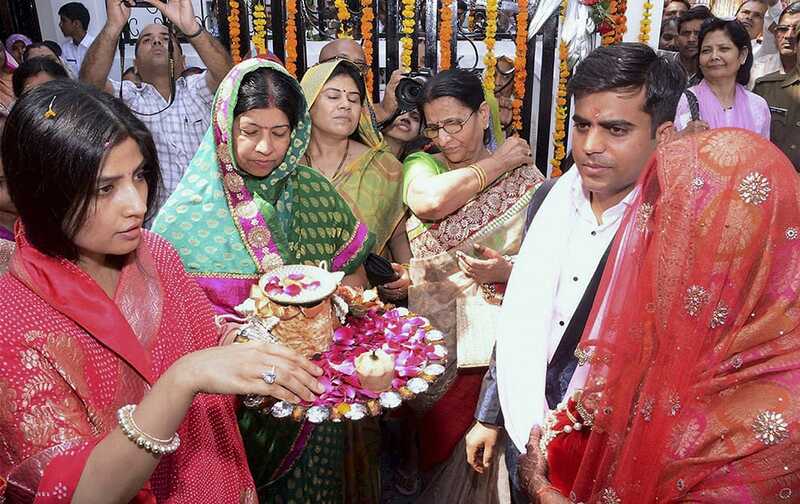 Newly married Tej Pratap Singh Yadav, grand-nephew of Mulayam Singh Yadav and Raj Laxmi, daughter of Lalu Prasad, being welcomed by UP CM Akhilesh Yadav and other family members on their arrival in Saifai. 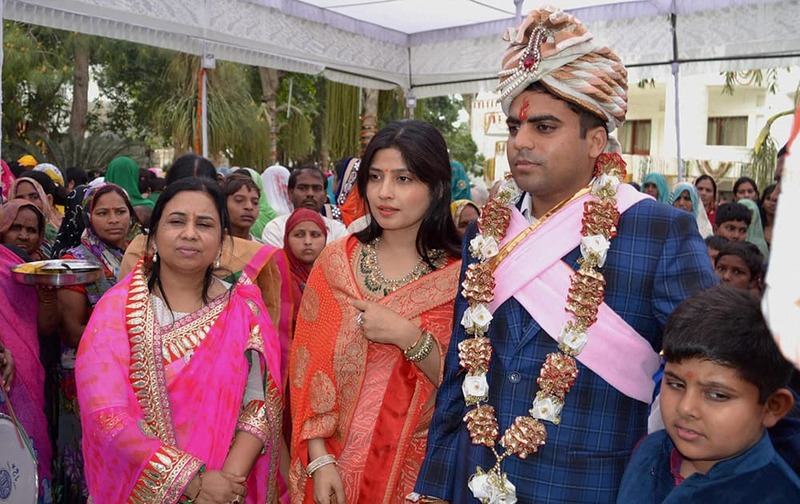 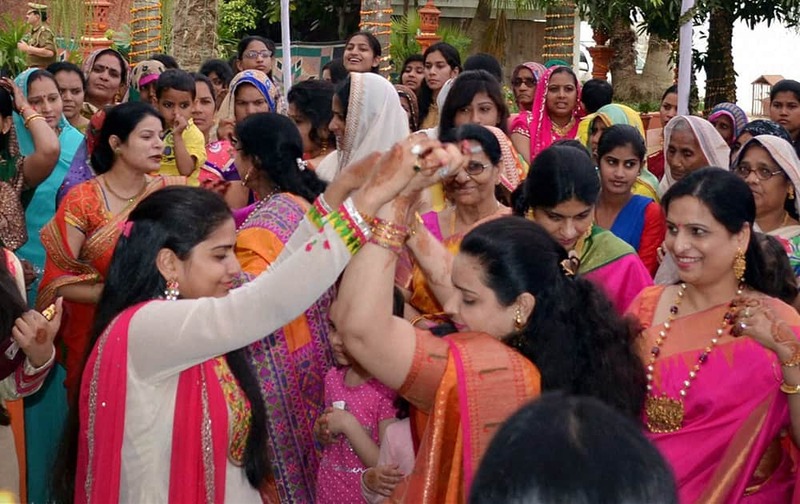 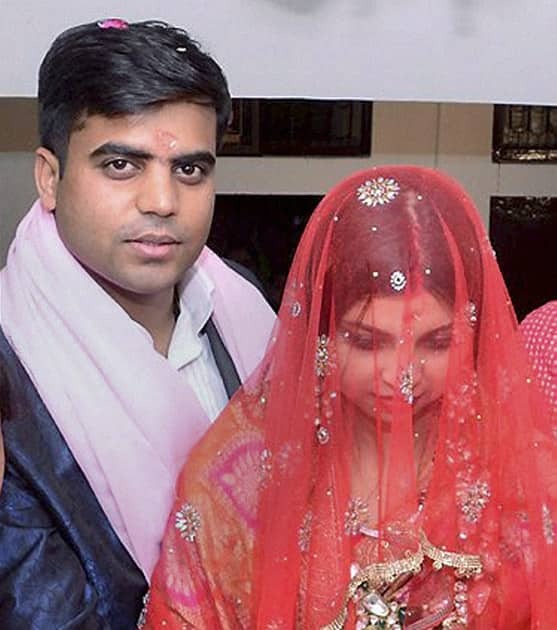 Newly married Tej Pratap Singh Yadav, grand-nephew of Mulayam Singh Yadav and Raj Laxmi, daughter of Lalu Prasad, on their arrival in Saifai. 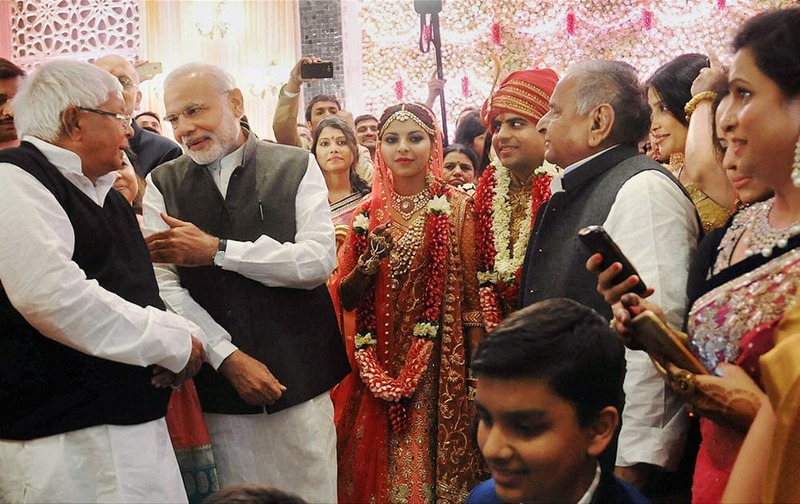 Prime Minister Narendra Modi at the wedding ceremony of Tej Pratap Singh Yadav, grand-nephew of SP chief Mulayam Singh Yadav and Raj Laxmi, daughter of Lalu Prasad, in New Delhi. 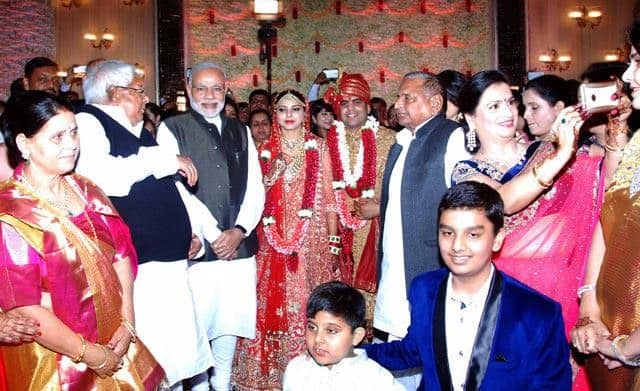 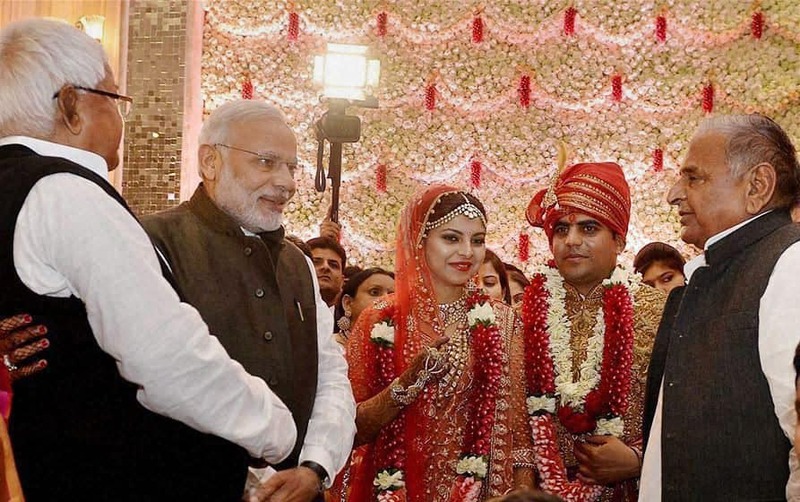 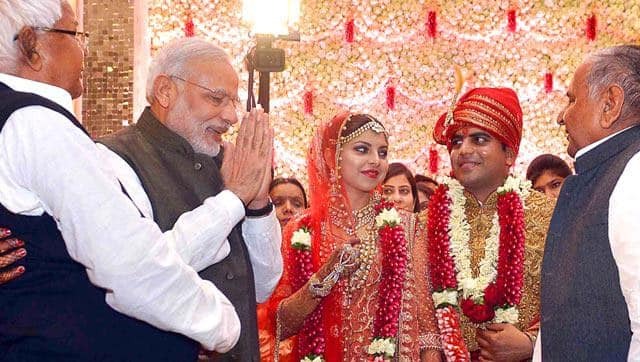 Prime Minister Narendra Modi at the wedding ceremony of Tej Pratap Singh Yadav, grand-nephew of SP chief Mulayam Singh Yadav (R) and Raj Laxmi, daughter of Lalu Prasad. 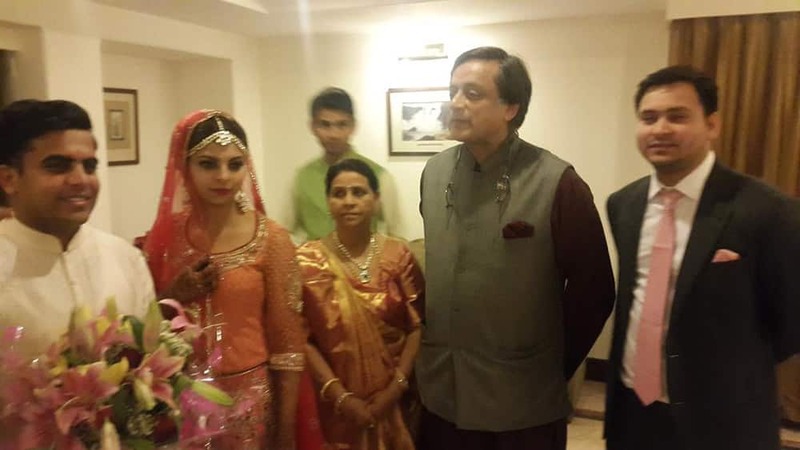 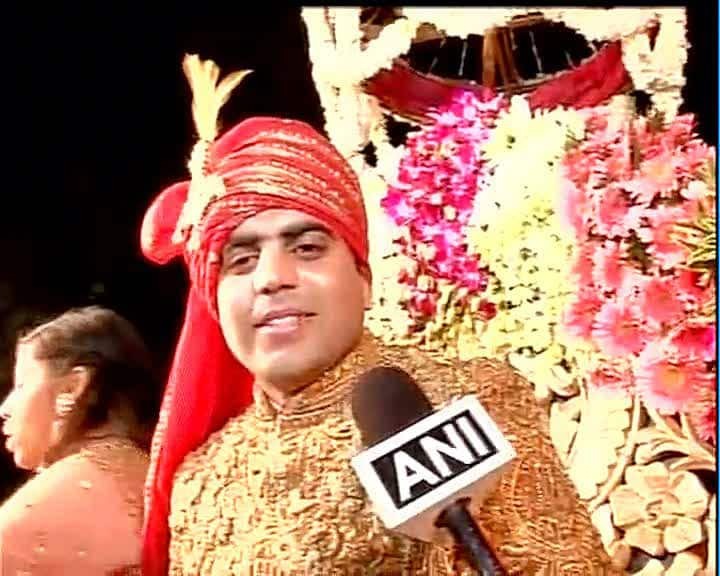 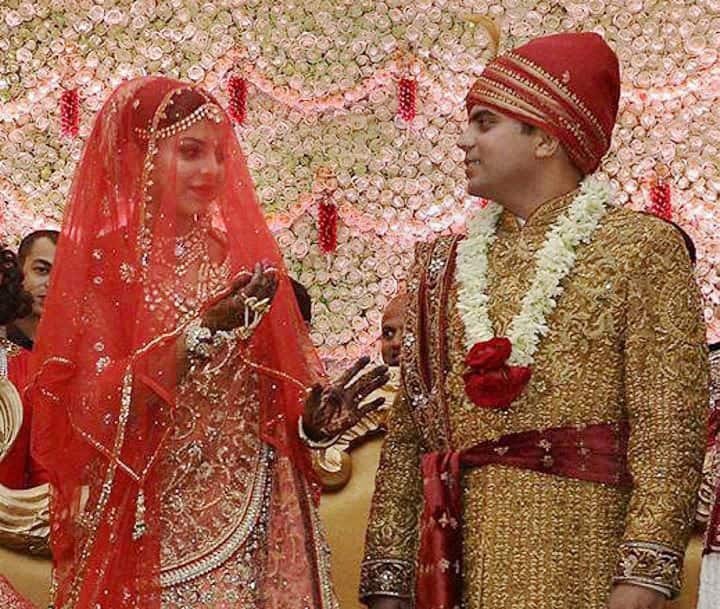 Tej Pratap Singh Yadav, grand-nephew of SP chief Mulayam Singh Yadav and Raj Laxmi, daughter of Lalu Prasad, at their wedding ceremony. 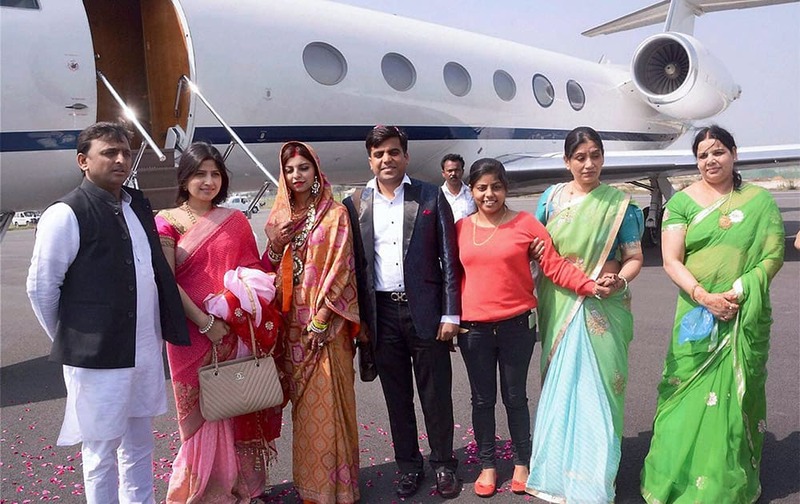 MP Dimple Yadav and other family members and relatives of SP Chief Mulayam Singh Yadav during the departure of Tej Pratap Yadavs Baraat from Etawah.